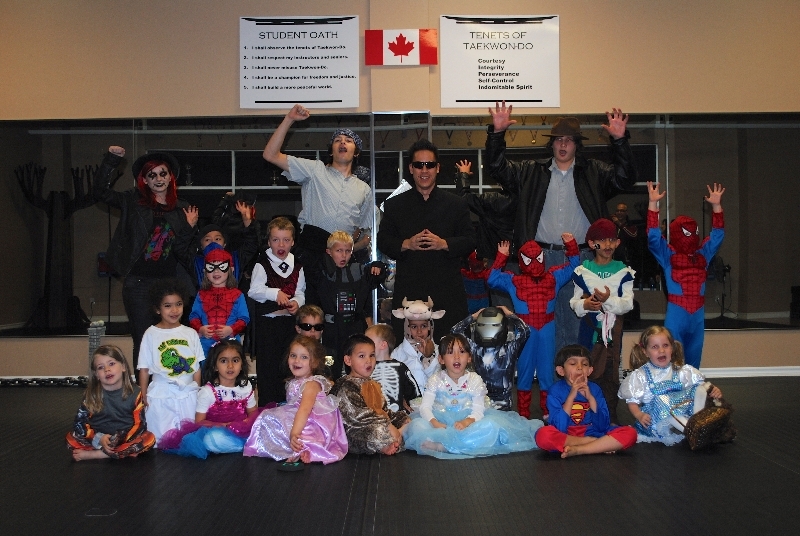 Black Belt Excellence Martial Arts Academy is proud and honoured to be recognized as a Leader in our Community, a pioneer for martial arts in Kanata, and your #1 choice for martial arts family training. 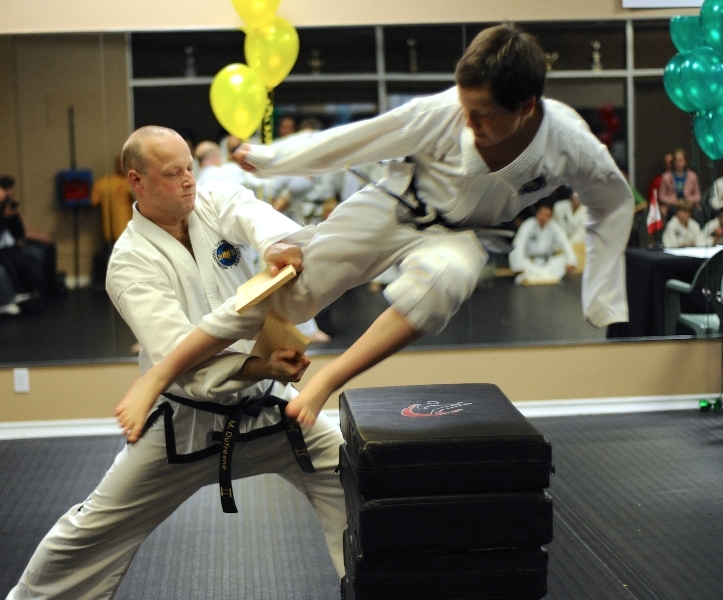 First-established and longest-running martial arts academy teaching Taekwon-Do in Kanata since 1988. Master Phil, along with Amelia, Justice, and Jackson Nguyen, receive the Mayor’s City Builder Award for outstanding contributions to our community. We have seen a lot of improvements with Braeden since September. He does not get as easily frustrated and he just seems a lot happier. He puts a lot of effort into his homework and we don't have to fight with him to get him to do it. — Sandi S.
Clearly the Belt Excellence Martial Arts Academy has had a significant influence on Paul's behavioral and physical development. The life skills taught and the rewards he receives at the academy have reaffirmed my decision to have him join. Highly recommended! — Steve M.
Taekwon-Do is the major focus for our son outside home and school. He gains self-confidence from achieving belt promotions, helping junior kids, and being part of a successful and focused group activity. His leadership skills are improving by watching and emulating the Taekwon-Do leadership team. — Dominic G.
Mark has gained SELF-CONFIDENCE, better grades, improved health and fitness as well as developing a positive behaviour towards his parents and PERSONAL GROWTH. — Lam N.
The greatest benefit of the program so far has been the amount of fun Ethan is having at the classes. He continues to enjoy his Taekwon-Do training. There is no effort to get him to go to class. I think this speaks highly of the classes and the positive atmosphere created by the instructors. — Kenneth Y. We believe that Braeden is becoming more confident by taking part in Taekwon-Do. He is learning to interact with other adults during class i.e. sparring and Bully Busters. He knows how to speak to an adult with confidence and respect. 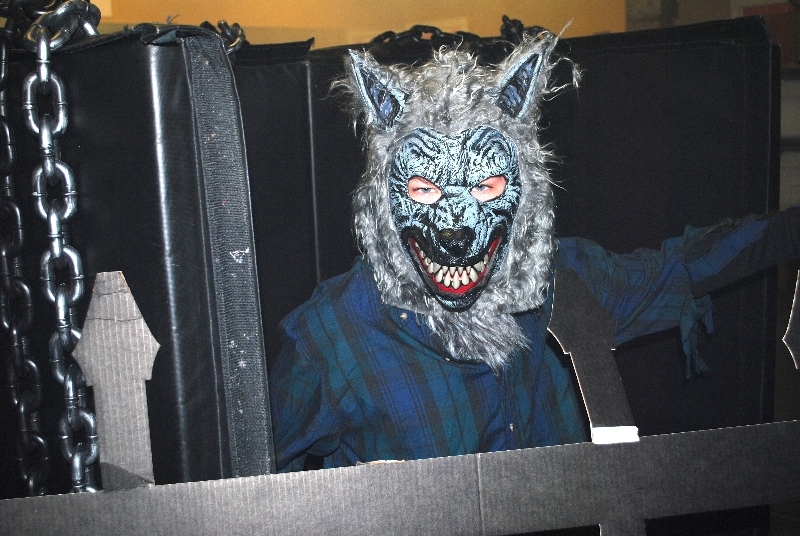 He is also gaining physical strength and endurance. A healthier child all around! 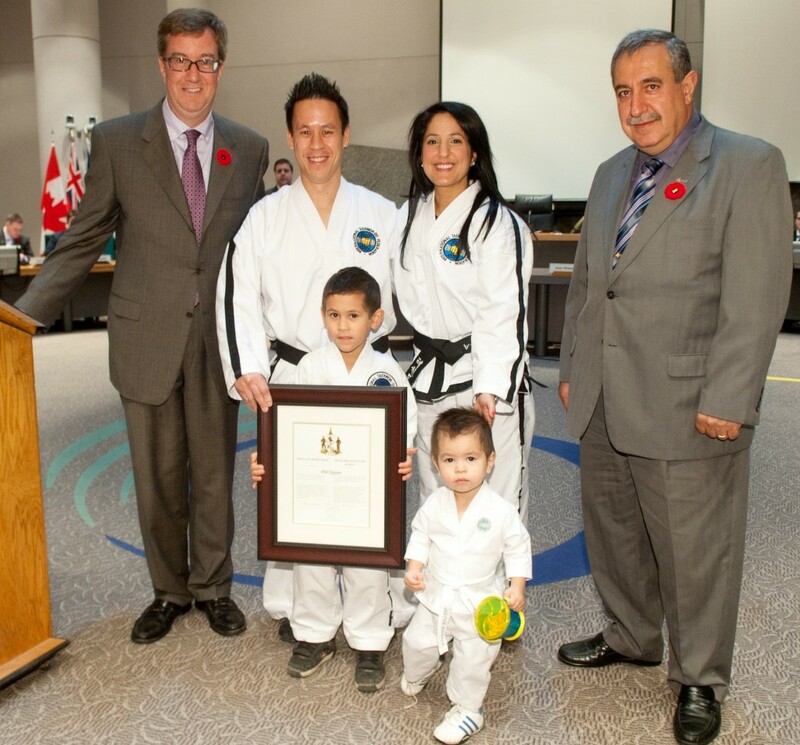 — Sandra and Scott S.
Taekwon-Do has helped Owen improve his FOCUS at home on several fronts - he completes routine chores and tasks such as homework, bedtime routine, and weekend chores often without needing to be asked. He continues to learn the values of RESPECT and DIGNITY. 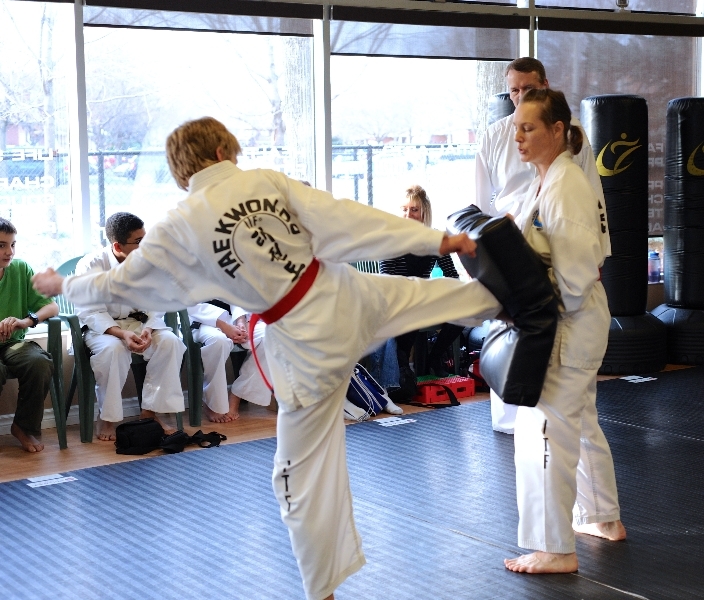 Often when discussing behaviour improvements or the possible consequences of personal choices, we frame the question as "Would this action be something that your Taekwon-Do instructor be happy with?" The clear expectations for behaviour… — Lynne G.